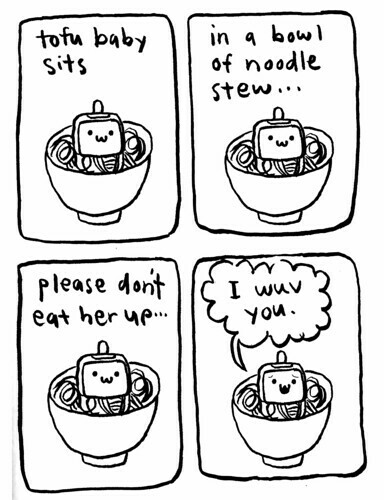 Here is one of my comics and this is still vewy twue today. 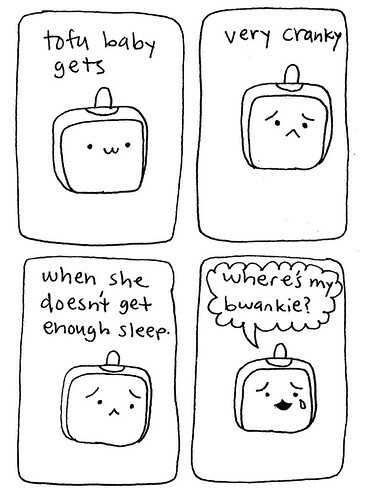 I might have to go get my bwankie wight now. 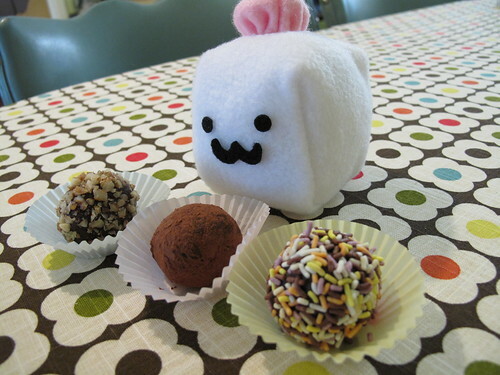 Today I made some choco-wit twuffles. I wuv candy! It is vewy simple to make twuffles. Your fwends will think it is a wot of fuss, but do no tell them twuffles are vewy easy to make! Here is the wecipe. • cocoa powder, nuts, spwinkles to woll the twuffles in and make them fancy! 1. Heat cweem in a saucepan on the stove. 3. Add choco-wit a widdle at a time. Keep whisking the choco-wit so it gets vewy smooth. 4. After the choco-wit is all melted and smooth, let this cool. After it cools for a while, pwace it in the fwidge for about an hour, or until it is firm. 5. This is the fun part - after the choco is set, you can woll it into widdle balls and woll it in differwent toppings! I wolled mine in pecans, spwinkles, and cocoa powder. Spwinkles were my favo-wit. 6. Enjoy wight away, or keep in the fwidge for another time! I spy, with my tiny widdle eye, a fish at Bwoobird in Athens. I saw this in Joo-wy 2006. This widdle fish is on the wight twack! 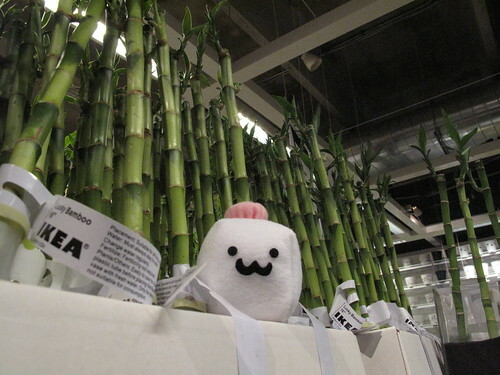 Today I went on a twip to Ikea. I was there so er-wee, I had to get some bwekkie there. 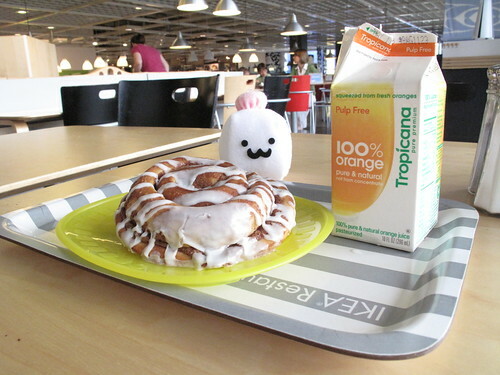 I had a cinnamon woll and some orwange juice. Then I went to wook at all the wights, wugs, and wamps. I made some new fwends, too. Wow, I sure did wots of shopping. What a wucky day! Here is my vewy first comic. Do you wemember? 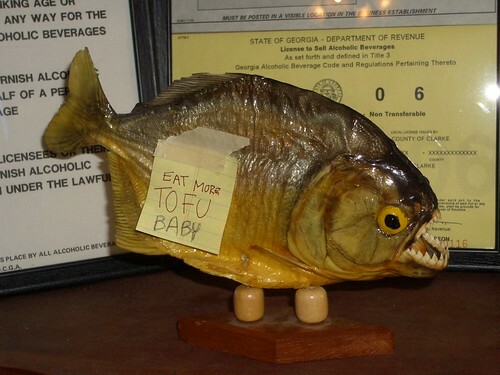 Heh-wo, my name is Tofu Baby. I am a comic in Fwagpole Magazine, Athens favowite news week-wee. 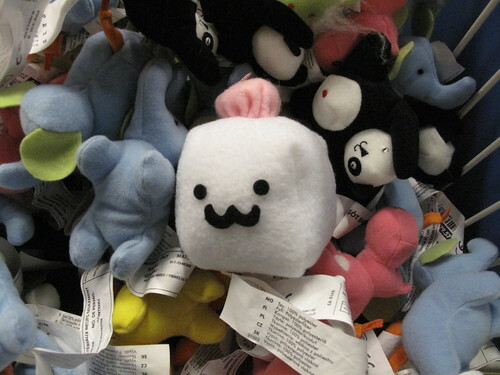 This is a Flickr badge showing items in a set called Tofu Baby. Make your own badge here. All of my work (photos, artwork, etc.) wepresented here, and elsewhere, is pwotected by copywight.